Welcome to Bob's Welding, Machining & Fabrication, a family-owned and operated, full-service metal shop that has served Orange County since 1936. We're your one-stop shop for metal fabrication, welding, machining, forming, shearing, CNC plasma cutting, and weld repair. 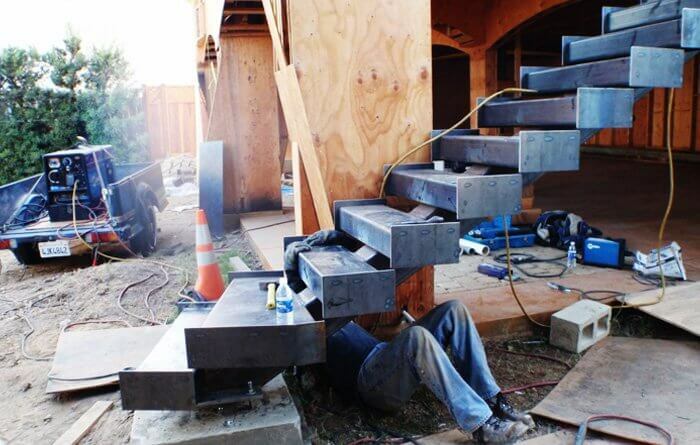 These services are provided by some of the most experienced and highly skilled welders in Southern California who truly excel when it comes to quality craftsmanship. Over the years, we've worked on tens of thousands of industrial, commercial, and residential metal working projects, ranging from heavy-duty frames to custom furniture. Whether you have detailed plans or just a loose idea or sketch of what you want, we'll work with you to realize your vision and ensure that it is designed and manufactured to fulfill its intended functionality and built to last. By offering exceptional craftsmanship, superior customer service, honest business practices, and fair pricing, we are definitely one of the best values in Orange County when it comes to metal fabrication, welding, and machining. We can fabricate nearly anything out of steel, mild steel, stainless steel, and aluminum. 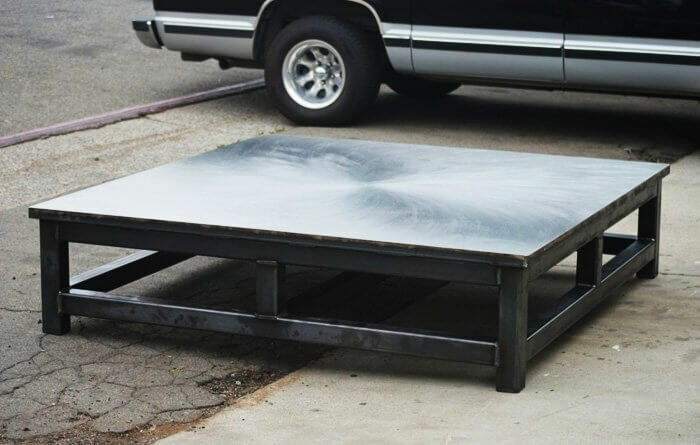 We've designed and manufactured custom metal furniture (tables, chairs, etc. ), frames, signs, carts, material-handling equipment, doors, platforms, staging, trailers, retail displays, gates, trash enclosures, and more. We can also handle all types of weld repairs. By offering machining, shearing, forming, and CNC plasma cutting in house, we are able to complete a wide array of fabrication projects, such as machine parts, prototypes, and small production runs, from start to finish--saving you time and trouble, and ensuring quality consistency. On-site welding services are available in Anaheim, Anaheim Hills, Orange, Santa Ana, Yorba Linda, Fullerton, Tustin, Brea, Westminster, and other cities throughout Orange County. We have a fully stocked service truck with a diverse range of portable welding equipment--including a gas-driven welding machine, a small tig welder, an arc/stick welder, plasma cutter, and an acetylene torch. With this diverse range of equipment, we are able to complete most weld repairs on the first call. Call locally owned Bob's Welding today and tell us about your needs for metal fabrication, welding, and/or machining in Orange County. We are licensed and insured, and certified by the American Welding Society (AWS). Why Choose Bob's Welding, Machining & Fabrication, Inc. I wanted to have my tent trailer modified so that the tongue could be removed, allowing it to fit completed with my garage (with the door closed). Bryan (the owner) reviewed my conceptual sketches and agreed to take on the project. During the course of design and fabrication, Bryan was accommodating of minor changes and also improved several aspects of the design. He is very professional and conscientious . . .
Bob’s Welding fabricates custom metal signage & awnings for clients throughout Orange County. This custom metal awning in Anaheim, CA was created for the Coors Light Cold Zone at Angels Stadium. We use our client’s design specs to create a metal awning that complements the style of this outdoor bar. 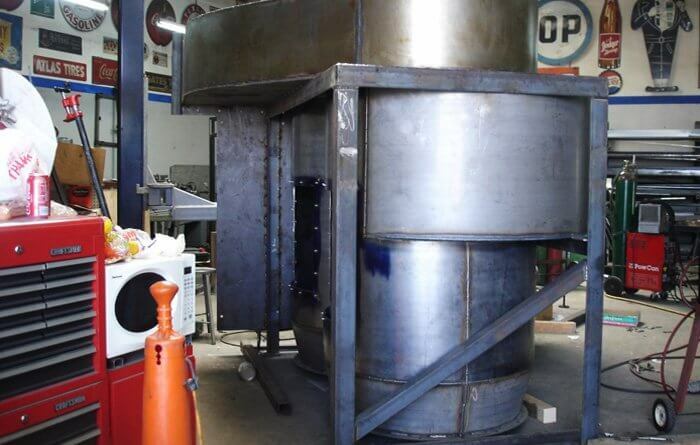 Bob's Welding fabricated this vacuum blower system and trash container to meet our client's needs. Robertson Air provided specific requirements for the blower system and trash container that would be used at local bus depots. 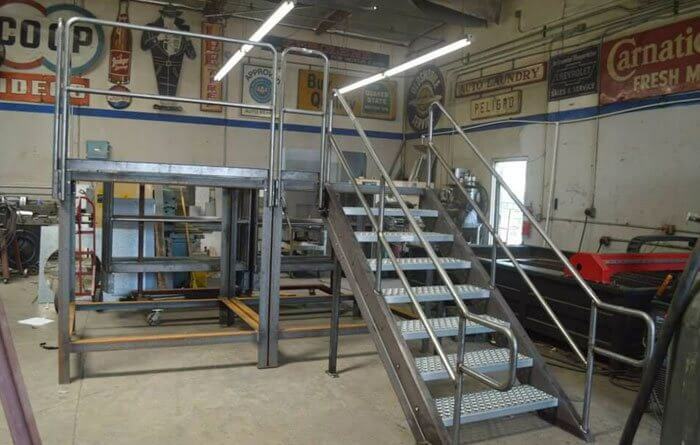 This custom fabrication job included cutting, forming, shearing, welding, and assembly. The steel components were finished with a durable powder coating to protect it from rust and weather damage. The final product pictured here was installed at the Santa Monica Metrolink station.